The Coalition of Christian Groups For Good Governance (Nigeria and Diaspora) has called on the Federal Government to investigate what led to the crash of Vice-President Yemi Osinbajo’s chopper crash. The Vice-President’s chopper crash-landed on Saturday, February 2, 2019, at Kabba in Kogi state. According to Vanguard, the President of the group, Rev. Daniel Kadzai said many crashes involving prominent Christians have gone without any investigation. He said “Till date, nothing had been said about the investigation into the Helicopter crashes of these great people. This has raised serious suspicion on the frequent crash involving top Christians in Nigeria. This particular one should be thoroughly investigated. “While we call on Christians all over the country to pray fervently against any form of manipulations against the Vice President, Pastor Yemi Osibanjo, we reiterate our demand thorough investigation into the cause of the crash. 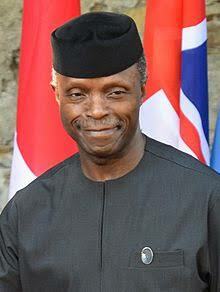 Many Nigerians have extended their well wishes and thanked God for the Vice-President’s survival. Also, the Speaker of the House of Representatives, Yakubu Dogara has called on relevant agencies to carry out checks on government owned aircrafts.